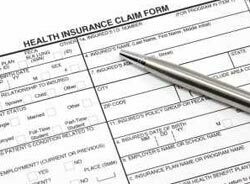 We are health insurance specialists and work with individuals and groups of all sizes. We represent all of the major companies and our experienced staff continually reviews new plans in order to give you the best coverage at the best price. We are able to help you select the program that best suits your needs. Important Note : You must have Adobe Acrobat Reader installed on your computer in order to view and print these documents. If you do not have Adobe Acrobat Reader installed on your computer click Get Adobe Reader button and follow the instructions for downloading and installing this software.